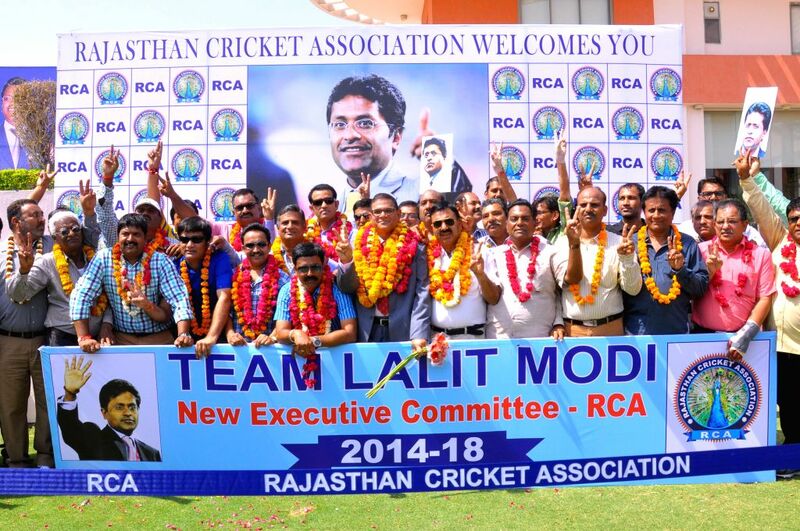 The newly elected members of Rajasthan Cricket Association (RCA) celebrate their victory after the results were declared in Jaipur on May 6, 2014. Former IPL Commissioner Lalit Modi was declared as the president of the association. BCCI has suspended the RCA.